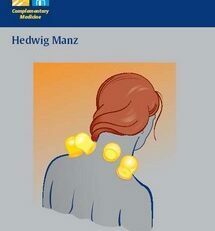 Finally… a short and easy-to-follow book that gives practitioners of acupuncture and Chinese medicine all the information they need to notices, understand, and refer their patients correctly when facing potentially dangerous signs and symptoms. Introductory material gives you an outline of how to actually do a correct patient referral and how to follow up for your own and your patients medical and legal protection. 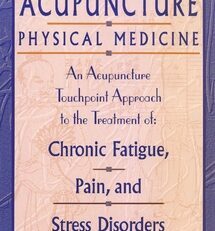 In just 220 pages Dr. Anzaldua presents all the most common red flag signs and symptoms that we may see in an acupuncture clinic. 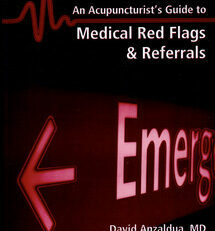 He also tells us what level of referral may be necessary for each red flag case. 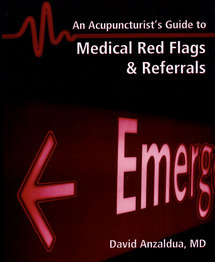 Every red flag has a real life case study, helping readers to understand the process of identifying red flag cases and making correct referrals. The easy-to-follow design and thorough index lets you find what you are looking for quickly. 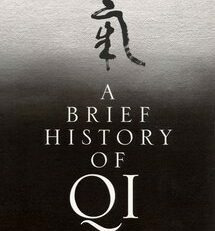 Questions at the end of every chapter allow students and life-long learners to review what you have learned as you go. 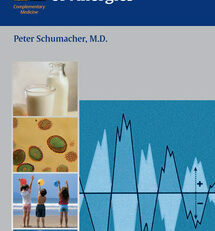 This book belongs on every practitioners shelf … it could save somebody’s life! David Anzaldua, M.D., ABFP, ABAARM, received his medical degree from the University of Illinois in 1979 and completed a residency in Family Medicine in 1982. He is board certified in Family Medicine and has more recently received board certification in the newest specialty in modern medicine, Anti-aging and Regenerative Medicine. He also studied sports medicine and analytical psychology for many years following his initial board certification and has been a certified psychoanalyst. For most of his medical career Dr. Anzaldua has practiced integrative medicine, seeking to blend scientifically verifiable alternative methods with conventional methods. He has been a teacher/lecturer at the University of Illinois College of Medicine, Stanford University College of Medicine, and later taught Biomedicine at Five Branches University as well as AIMC-Berkeley. Though not licensed in TCM, he has had the privilege of studying under the guidance of two masters of TCM, Douglas Wang and Frank He. Dr. Anzaldua’s passion for integrating certain features of TCM and modern scientific medicine is well known to his colleagues. Due to his vast clinical teaching experience he has been able to share that passion with many practitioners by lecturing both nationally and internationally. He gave one of the nation’s first lecturers on sport medicine at an American Academy of Family Medicine National Convention and was a guest lecturer at the 2004 International Traditional Chinese Medicine Seminar in Hangzhou, China.